Protected Geographical Indication of Peloponnese – Dry Red Wine. Cabernet Sauvignon – 30%, Merlot – 30%, Agiorgitiko ( St. George ) – 40%. Altitude 650 m. Lime-clayey soil with 30ο incline. Red wine vinification method including diffusion and storage in oak barrels for 24 months up to bottling, followed by storage in wine cellars for a further 12 months. 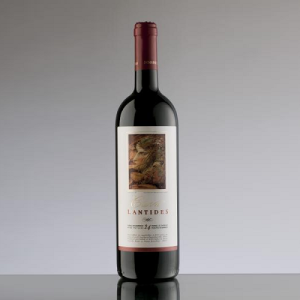 Strong tannins, great body, and a good balance between acidity and alcohol promise one of the best wines produced by Lantides. Store in a cool place and decant into a carafe. Can age for 8-10 years without cork changes. Protected Designation of Origin Nemea – Dry Red Wine. Red wine vinification method including diffusion and storage in oak barrels for 14 months. 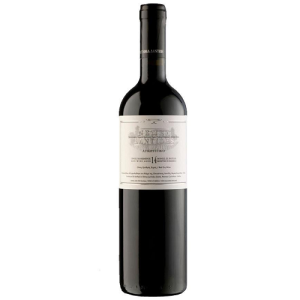 Gentle tannins, rich body and a balance between acidity, barrel and fruit. Store in a cool place and decant into a carafe. Can age for 6-7 years without cork changes.